Corey Ziems yesterday won the Kirra Surfriders 2012 open club championships which were held in 3-4ft barrelling waves at Kirra Beach, Queensland. In a closely fought final Corey outscored 2nd place getter Mitch Duggan by only 0.8 on the heat sheets, with Sammy Clift 3rd and 2012 open pointscore winner Andre Teixeira in 4th place. 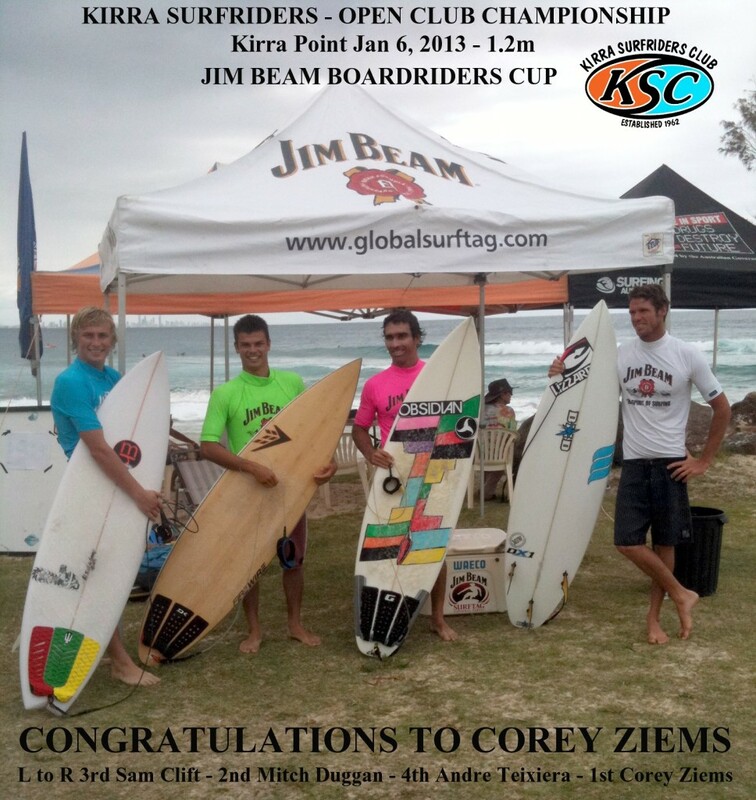 As the winner of the Kirra Club Championships, Corey received $1,000 in prize money and will now represent the club at the Jim Beam Boardriders Cup Australian Final to be held later in 2013, where he will compete against surfers from more than seventy Boardriding Club’s from NSW, QLD, WA, VIC and SA. Congratulations Corey from all the crew at Kirra and good luck at the JBBC Australian Final.